Now that Thanksgiving has passed, our attention can fully shift to the Christmas season. A number of festivals have already started, but here are some to look out for. TCU Annual Christmas Tree Lighting – November 28 from 6:30 p.m. – 8:30 p.m.
Highlighted by the lighting of the Christmas tree and a mandatory TCU fireworks show, this event is perfect for students and families alike. The tree sits at the end of the campus commons and the grass area between the tree and Frog Fountain will be full of events. Past activities include crafting and holiday games. There will also be a performance by Johnnyswim this year. SuperFrog Santa will be available for photos and free refreshments and treats will be given out. Parking will open in all lots after 5 p.m. and shuttles will be available. Fort Worth’s only outdoor ice skating rink returns to Panther Island. The rink is located at the Coyote Drive-In and is open seven days a week, including holidays. Admission is $12 and that includes the skate rental fee. 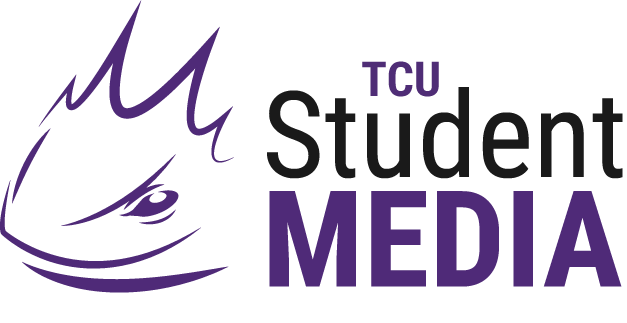 There are no discounts for TCU students, but admission is half off on Tuesdays and only $10 on Wednesdays if you bring two canned goods. Parking is free and a ticket to the Coyote Drive-In is not required for admission to the ice rink. Starlight Symphony – Dec. 1-31 6 p.m. – 9 p.m. This month-long event lights up the sky at the Crockett Row at West 7th to a choreographed five minute light show. Free carriage rides are available on Friday and Saturday nights and a number of choirs and musicians will perform on the weekends throughout the month. From Dec. 9-18 there will also be a toy drive benefitting SafeHaven of Tarrant County. This Houston festival, started by TCU alum Yusi An, is expanding to DFW area and is setting up at Lone Star Park in Grand Prairie. The festival bases its designs on Chinese lanterns and turns them into remakes of local landmarks. The festival includes five sections; Magical Wonderland, The Lone Star State, Mystery of the East, Dinosaur Land and Christmas Candy Land. There will also be two Chinese acrobatic shows every night at the festival. Tickets are $21 for adults and parking is $10 on site. This classic Christmas ballet is being brought to the Bass Performance Hall by the Texas Ballet Theater. There are a number of performances throughout the month of December. Ticket prices vary based on where you want to sit. Ryan is a junior double majoring in journalism and history from Little Elm, Texas. He is an avid sports fan that enjoys all things TCU and Dallas related. When not in class you can find him in a Fort Worth eatery or marching on the 50.